On the 26th of August my fiancé, Luc, and I got married. or helping someone plan theirs, then this time line might come in handy. and every culture has their own traditions. and it might be helpful to some people. We got married in Antwerp,Belgium. I'm always happy to answer specific questions about the locations as well. I made a script in Excel. Below you can see a small fraction of what it looked like. Make a document that you can send to everyone who is attending your wedding. who have to be present at that moment. 9:45 Delivery of the flowers. 10:15 Hand over important documents and rings. and photographer (who was my uncle). at our place and we leave to the location of our civil wedding. 10:45 Wait for our civil wedding with friends and family. Take pictures in the meantime. 11:15 We get married at Felix Pakhuis. 12:00 Lunch time with family, the bridesmaids and groomsmen. 14:00 Photo shoot with family, bridesmaids and groomsmen. 14:30 Go to some different locations to take pictures of just the two of us. The picture below was taken at the MAS museum in Antwerp. so we joined part of my family at a cafe to have a drink. We drank champagne and ate hors d'oeuvres at La Riva in Antwerp. and my husband's uncle and aunt between courses. 19:00 The guy from the photo booth arrives and installs the photo booth. 19:45 I touch up my make-up and put some more curls in my hair. 20:00 The evening guests start to arrive. 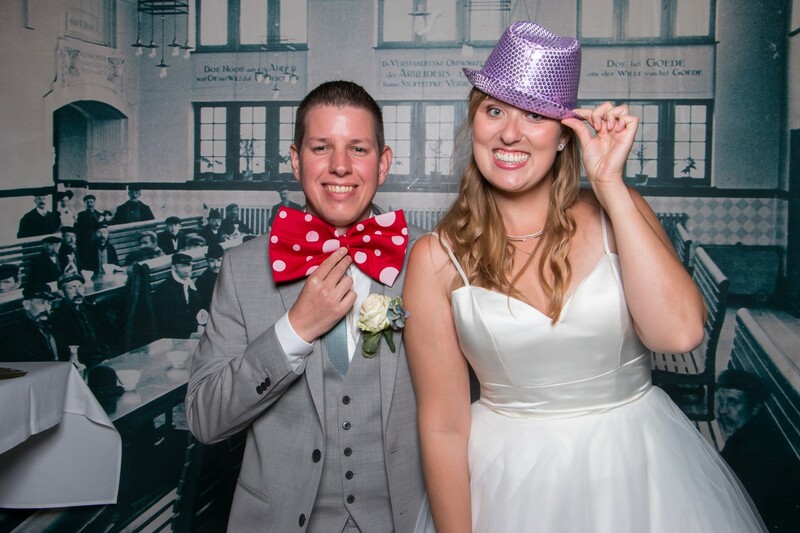 They first take a picture at the photo booth and put it in our guest book. 21:00 We cut the wedding cake and open the dessert buffet. from my girlfriends as a surprise. 22:00 We have our first dance as a married couple. We chose the song "How Long Will I Love You" from Ellie Goulding. on the floor and starts to dance. 23:30 All the single ladies line up and I throw my wedding bouquet.